Have you ever wondered how heartworms really affect the life of your furry pal? Just to give you an idea heartworms are long noodle like worms that grow in the tiny heart of your beloved companion. Naturally, any human being would find it extremely disturbing to imagine this scenario. But this is what happens inside a dog’s heart when these worms enter the heart of the dog. The clear cut message is that heartworms are extremely dangerous and life-threatening for your furry pal. The good news is that they can be prevented. Heartworm disease is treatable, but involves a fatal threat to the treated pet. The best thing that you can ever gift your furry pal is the safety net of prevention which he would thank you later. The peculiar thing about heartworms is that they are carried by infected mosquitoes that transmit parasitic worms that develop in the blood vessel of the lungs and heart of the pet. The surprising fact is that the heartworm larvae can enter the bite wound and move into the pet’s body, thereby growing up to 12 inches in length. Fortunately, it is very easy to prevent this life threatening condition. Just give monthly heartworm preventative treatment to your pet and keep him safe from this harmful disease. Worms are a real problem in dogs, and more so because of the fact that they change the behavior of the doggy when it comes to eating. The pooch either eats irregularly or loses the desire to eat food. In case, you find your pet behaving lazily coupled with the symptoms mentioned above, then it is important to de-worm the doggy. If you see any of these symptoms in your pooch, then it is important to take him to the veterinarian immediately. He/she would conduct certain tests to determine the types of worms affecting the dog: hookworms, tapeworms, whipworms and roundworms and then suggest deworming treatments for quick recovery. Milbemax comes in a tablet form that assists in treating and controlling all types of worms encompassing whipworms, hookworms, tapeworms and roundworms. 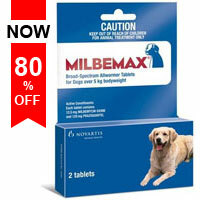 It also assists in preventing heartworms and is extremely good for the overall well-being of the pooch. These tablets come in small form and very few tablets are needed, making it extremely effective treatment that is less stressful on dogs. Milbemycin oxime and praziquantel are the active ingredient present in this deworming treatment. Milbemycin oxime interrupts the nerve transmission of internal parasites and kills them. While Praziquantel works to eradicate tapeworms by causing muscle spasms and attacked by enzymes. This results in excretion of the intestinal worms from the dog’s system through natural process. 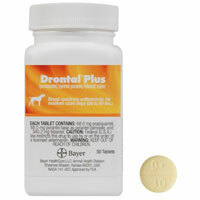 Drontal Plus Allwormer is one of the most favored deworming treatment by dog owners. It comes in a chewable tablet form with several flavors like pork and liver. It assists in treating multiple parasites like roundworms, hookworms, whipworms and tapeworms. It is very easy to administer this oral treatment. Dogs take these tablets as a treat. This deworming tablet contains Praziquantel, Febantel, and Pyrantel Embonate. Praziquantel damages the parasite’s skin internally, which results in the disintegration of the parasite and its removal from the immune system of the dog. Febantel is effective against nematode parasites like whipworms. While Pyrantel Embonate acts as a depolarizing neuromuscular blocking agent which results in abrupt contraction followed by paralysis. This results in hookworms losing the grip on the intestinal wall. It then gets removed from the dog’s system through natural process. So, in the end this treatment works on all types of intestinal worms on dogs. Try any of these two deworming treatments and keep your furry pal healthy and fine!!! Every pet owner has a pain in his heart when he has to see his pet move to heaven. We know not everything is in our hands but still it is very difficult to digest the fact that the furry pal you considered as a family member has left you forever. It can take a lot out of a person especially when you are close to a pet. To ease off this mourning process, International Association of Pet Cemeteries created National Pet Memorial Day about 40 years ago in the year 1972. On this day, pet owners get enlightened about the grieving process that happens when a beloved pet goes away. There is an increased awareness in our country about several alternatives that are available to memorialize the pets that have passed away. The void left out by the loss of a furry family member hurts the same way as a human being. The hard part is that these little bundle of love not only share our joys, but also comfort us during moments of sadness. Hence, it’s natural to feel the pain and grief during their absence. It might even take some months or even years to move on. But, ultimately the harsh truth about our life is it moves on. Every person would have their own way of overcoming this period of loneliness. Getting another companion who will not be able to take the place of the lost pet, but can at least comfort you during your sad hours in life is an option. If you already have a furry companion and trying your best to forget about your previous lost pet, don’t carry the emotional load of your previous pet for long. Just ensure that the pet is taken care off properly. To help you in this honorary act, BestVetCare would like to contribute in your recuperation from this excruciating condition by providing best branded pet products at your doorsteps without going outdoors, at a price that will not hurt your pockets. 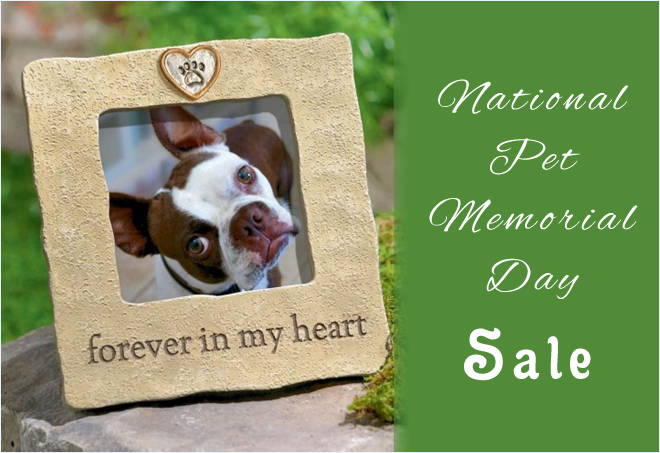 National Pet Memorial Day Sale has been organized just to reassure smile on the faces of those pet owners who are still agonized with the passing away of their little bundle of love. Best Vet Care understands your predicament and invites you to avail a compensatory 10 % discount on pet products. Don’t forget to use the Coupon Code : BESTSPR for availing the discounts. With an extensive range of pet care supplies for canines, felines and birds in the categories encompassing flea and tick control, wormers, joint care, dental hygiene, wound care and eye and ear products, it is very easy for you to get your desired products today!!! You can avail branded pet products at a never-seen-before prices. So, don’t miss, act now and save big!!! BestVetCare has come up with a consolatory offer to all those mourning pet owners, which will not only help you overcome the grief, but also assist you to build fresh memories with your current pet. We know you are strong and will definitely pass this period of grief. Labor day marks the last hurrah of the summer. The children are already back in schools, but the real last day of summer is still a couple of weeks away. It is a perfect opportunity to have a season finale summer party!!! As with other holidays, this Labor Day weekend promises to be a busy one at the veterinary emergency centers. Hence, it is very important that you keep your furry pal safe, so that you do not end up patching up an injured pet while celebrating the occasion. Remember, due to the long weekend, if your furry pal ends up with some health problem, it can result in an emergency. But due to long holidays, it would not be possible to get in touch with your veterinarian instantly. So, it is better to stock relevant pet care supplies in advance, so that you do not have to take any emergency step at wee hours!!! We understand this situation, and so this Labor Day, BestVetCare brings Labor Day Weekend Sales with 12 % discount on all its Pet Care Supplies. What Is BestVetCare All About? BestVetCare is an online shopping destination that provides cost-effective, branded pet care supplies that are not only effective, but also loved by pet owners. Due to this very fact, in a very short time the company has received lots of great reviews from the buyers. It has become a reputed name in the field of pet care supplies. The ultimate shopping extravaganza provides a wide array of Pet Care Supplies For Dogs, cats and birds in the categories of: flea & tick, wormers, heartwormers, wound care, teeth care, eye and ear along with joint care at a price that does not hurt the pockets of pet owners. What Does Labor Day Sale At BestVetCare Mean To Pet Owners? 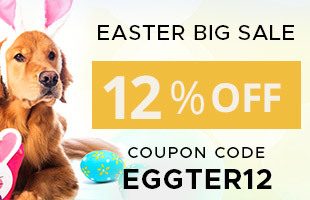 This is your chance to take advantage of this hottest online pet supplies deal. So, don’t wait? Hurry!!! Procure these pet products today by providing the Coupon Code – BSTLBR, and reap the labor of your unconditional love towards your pets this Labor Day!! !